Like the title says, we have the knowledge and experience to handle any project, design or need you might have. Our team is committed to making sure you receive the best possible quality and service in everything we do. 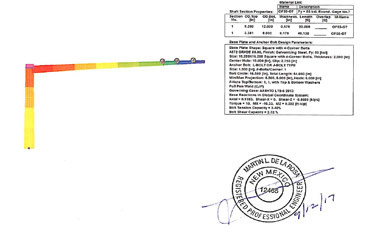 Our customized pole design program by licensed P.E. which include all the latest design codes and our in house drafting allow for quick turn-around time. 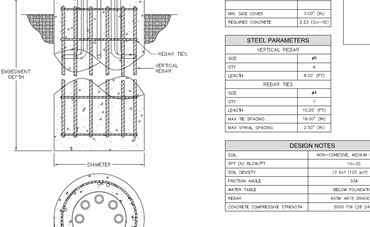 Submittal drawings and designs can be sealed by a professional engineer licensed in 48 states. Factory pre-wired electrical system from pole top to bottom using UL listed components and NEMA rated junction boxes make installation of our poles and crossarms a breeze. This is what separates American Lite Pole from the rest. We welcome the non-traditional lighting ideas. 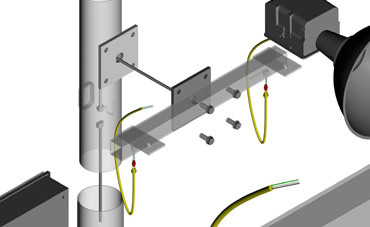 Our design and fabrication capabilities will help take your idea from concept to reality. 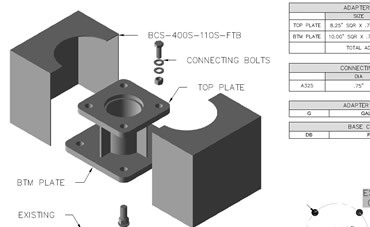 Adapter plates are used in most cases when anchor bolts are set in the field incorrectly. 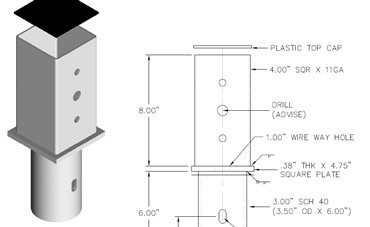 They are a 2 tier adapter that match the incorrectly poured bolt circle in ground to the bolt circle on the pole. 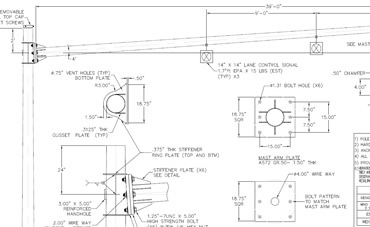 American LitePole can design and custom fabricate a pole top tenon adapter to help with your light pole retrofit needs.